We care for our skin with soaps, creams and masks. We care for our teeth with toothpaste and mouthwash, but what about what’s happening inside our bodies? Our immune systems are responsible for a huge range of functions that impact our physical health, mental health and daily well-being, so it’s vital that we pay as much attention to it as we do the stuff that’s on the outside. 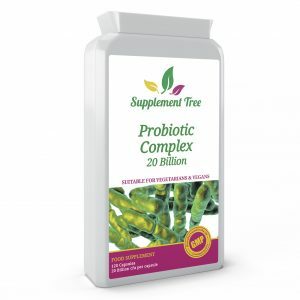 Supplement Tree are experts on everything to do with immune system supplements. We’ve put together this guide to give you the low-down on not just how to boost your immune system, but why it’s important, and the best vitamins and immune system tablets to keep your body ready for each day. Your immune system describes the processes and parts of your body that are responsible for fighting bacteria, viruses and other things that threaten your health. From the moment a pathogen (something that doesn’t belong in your body) gets in, your immune processes track it down and destroy it to keep you healthy and happy. It’s constantly working behind the scenes and it never stops — even when you sleep! There a huge number of different processes and parts that belong to the immune system. You might have heard of some (or remember them from Biology lessons), like white blood cells and antibodies. These, however, are two of thousands of different components to a very complicated system! Allergies and asthma result from an immune system that works a little too well. Instead of simply filtering out dust, pollen or other triggers, your body recognises them as a threat and overreacts. For some people, this causes discomfort, while for others it can be life-threatening. Usually, the only time you notice your immune system is when it’s at its weakest and fails to stop you from getting ill. This happens most often when you’re tired or have been around a large amount of new germs (like working with kids, starting a new job or travelling to a new place). Unfortunately, this means that you rarely think about immunity function until it’s too late! While the best thing is to build immune strength over time through tablets, supplements and keeping an eye on your diet, there are ways to boost your system when you need it. For instance, if you’re feeling tired, run-down or know you’re being exposed to a host of new pathogens. Along with sleep, diet plays a big part in your immune health with diseases such as diabetes being associated with lower immunity, but it’s not always easy to eat everything that you need in order to keep your immune system working at its best. This is where Supplement Tree comes in. Immune system supplements build your immune strength in the places that your diet doesn’t, making sure you stay healthy. The best way to boost your immune system is to work out what you’re lacking. If you have a serious immune problem and find yourself very ill, always seek a doctor’s advice — and then come to Supplement Tree to find immune system tablets and vitamin supplements. 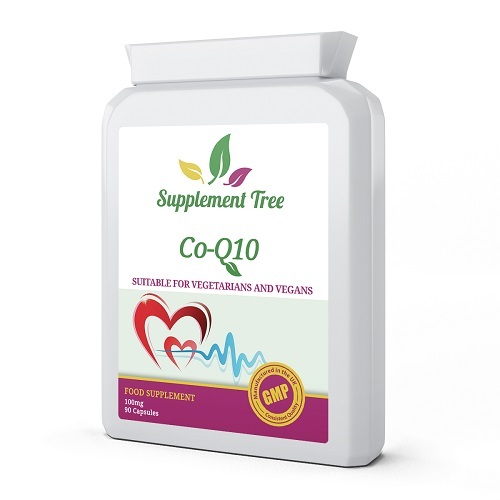 Co-Enzyme Q10 is naturally produced in our bodies and is vital for energy production. You find it most in heart cells. If you’re low on co-enzyme Q10, then the cells in your immune system can’t produce energy and therefore can’t fight against bacteria and diseases. CoQ10 also functions as an antioxidant. These fight what are known as ‘free radicals’ that are responsible not just for signs of ageing, but also for degenerative diseases. Supplement Tree stock co-enzyme Q10 vitamins to boost immune system function. You may have heard probiotics referred to as ‘friendly bacteria’, which is exactly what they are. In fact, our body is filled with all sorts of bacteria that are vital for every system in our body and keep us alive! The only time we don’t have friendly bacteria helping with all our systems is when we’re in our mother’s uterus. Our immune system relies on probiotics to keep it running, not just in regard to the function of our intestines but throughout our bodies. Without them, we fall ill very quickly. You find probiotics in some yogurts and other ‘live’ foods, but it can be really hard to include these are part of your daily diet — especially if you have a diary allergy! Probiotic immune system supplements boost immune function and keep you healthy, while also being really good for your digestive system! Vitamin B, like Coenzyme Q12, is needed in our cells to produce energy. Without it, the cells in our immune system can’t function properly, our immune health decreases and we find ourselves feeling lethargic and getting ill. Vitamin B12 is responsible in energy production, making red blood cells and keeping our nervous system healthy. In our diets, you find vitamin B12 in eggs, milk, cheese and meat. It doesn’t occur in fruit and vegetables, so vegans can often find they lack this vital vitamin. Athletes also find their bodies need more vitamin B than their diets can give them. 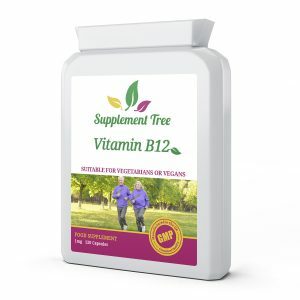 Those who aren’t vegan or athletes can still find it difficult to get sufficient amount of vitamin B12, particularly if you need extra for an immune system boost. Vitamin B Complex immune system supplements contain all eight forms of vitamin B, meaning they’re great for those who are lacking and therefore need a immune system supplement.